When Connie Koch, founder and Chief Development Officer started designing the core CRM functionality of RedHorse, she asked the same question she asks every day, ‘How can I make this better?” Too often the basics are overlooked for the purpose of driving another add-on or pricey upgrade. This demonstration will cover the basics of RedHorse and how they have raised the bar against the competition. An overview of our Account Centric architecture, Contact-rich Management features, Calendaring, Email ‘done right’ and some of the many data mining functions that are built into the system are included in the demo. This demo is intended as a session for prospective customers that are not current license holders. Private demos for current license holders are available through your reseller. 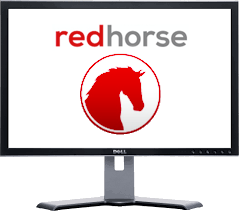 If you are registered with a RedHorse Dealer, we believe it would be more advantageous for you to contact them as first point of contact for a personalized demo. Our resellers take great pride in knowing their customers’ internal systems and business processes and often are the best avenue for a successful demo session. In the event your reseller would prefer we do the demo session, please let us know and we will be happy to coordinate this with them. Please enter your contact information below. Then click Submit to register. Confirmation and meeting information will be emailed to you prior to the event.